We have resisted criticising Healthwatch Norfolk, in large part out of respect for its Chairman, who was an outstanding Norfolk Coroner who never hesitated to hold Norfolk & Suffolk NHS Foundation Trust (NSFT) to public account. But, enough is enough. 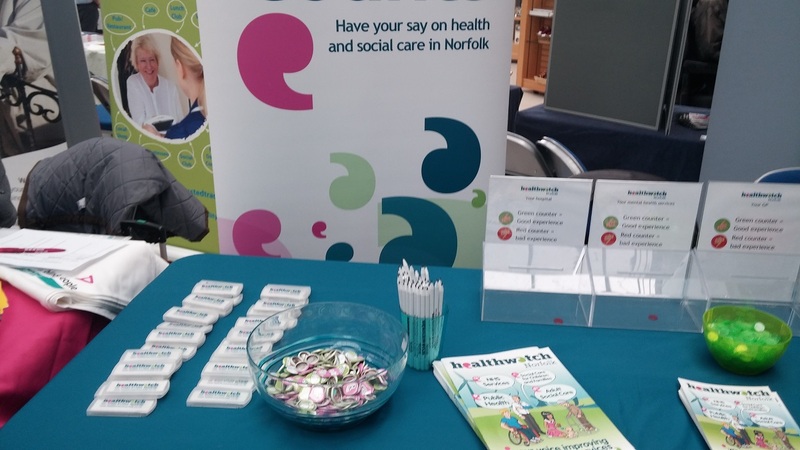 Today, Healthwatch Norfolk had a stall at the Forum in Norwich, with expensively-branded pencils, rubbers, badges, glossy publications and some perspex boxes and counters modelled on the charity donations boxes in Waitrose. Last weekend, people with mental illnesses in crisis were locked in police cells because there wasn’t a single bed available in Norfolk and Suffolk. The detention of the ill in breach of their human rights happens so often that Norfolk and Suffolk police forces have drafted a standard letter of complaint to NSFT and the health commissioners. 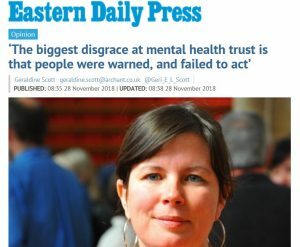 The mental health crisis in Norfolk and Suffolk has been ongoing for a long time but Healthwatch Norfolk, which claims to be the ‘consumer champion for health and social care in the county’ has said very little. Apparently Healthwatch Norfolk doesn’t want to talk to our campaign, which has more than 2,000 Facebook likes, because it is ‘political’ – when what it actually does is challenge the cosy status quo. Healthwatch Norfolk has managed to attract 14 Facebook likes. Our campaign consists of patients, carers, staff and public and it is not in any way party political: it is just extremely embarrassing to the bureaucrats and politicians. Norman Lamb doesn’t like our campaign much (even though he sometimes tries to claim we are on the same side) but that doesn’t mean it is wrong or should be ignored. 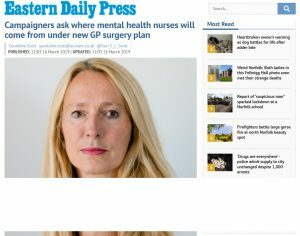 Healthwatch Norfolk would probably have dismissed Julie Bailey and Cure the NHS as ‘political’ too, just as the Patient and Public Involvement Forum did. It is as though Mid Staffs never happened and the Francis Report was never written. 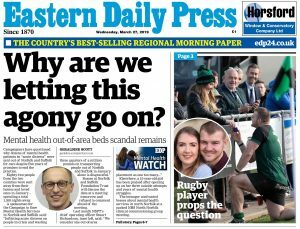 If Healthwatch Norfolk doesn’t fulfil its remit to ‘represent your views and your experiences to help inform and improve the services that are commissioned and provided in Norfolk’, wouldn’t the money spent on its eight employees and two interns be better spent on health services? Healthwatch Norfolk chose to use its right to comment on NSFT’s Quality Account in the NSFT Annual Report 2013-14 to defend NSFT in the most pompous and complacent manner. Healthwatch Norfolk chose to say nothing about the terrible performance of Access & Assessment (AAT), the abolition of Assertive Outreach teams in breach of national guidelines, the lack of beds, the number of patients without a care co-ordinator, the wasting of millions of pounds on a redundancy programme which has put community services at serious risk, the collapse of staff morale, the breakdown of service user and carer representation, the detention of the mentally ill in police cells, the disintegration of health and social care with the collapse of the Section 75 Agreement, the CQC Inspection failure of Hellesdon Hospital and the shipping of people in crisis across the country. Healthwatch Norfolk did, however, see fit to give the typography of the Quality Account a higher priority, worthy of comment. Even if Healthwatch Norfolk doesn’t realise something is badly wrong at NSFT, the CQC certainly does. 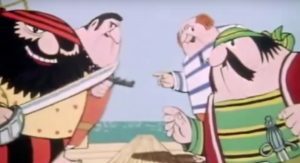 Are we being unfair on Healthwatch Norfolk? Compare its approach with the robust approach of Healthwatch Suffolk below and decide for yourself. To implement a system that ensures that all patients, in contact with mental health services, access relevant physical healthcare screening and services. We understand from the Trust that a plan for a pilot has been developed however there would appear to be no report of tangible progress against this objective. All crisis/care plans will identify how to contact a mental health worker out of hours and what the Crisis Resolution & Home Treatment Team (CRHT) may be able to provide. Develop a leaflet that gives contact numbers and describes the role of the CRHT. Preparation of informative leaflets is a welcome development. It is our view however, that this is a very limited achievement for the period and the fact that only 48%* of service users audited have a crisis plan is clearly of ongoing concern. Crisis support has been an area where service users have raised serious concerns with Healthwatch Suffolk over the period and there have been a number of interactions involving both Healthwatch and Suffolk User Forum with senior members of the Trust. These have ranged more widely that the targets addressed here and have led to significant Trust decisions on Crisis Care; including establishing collaboration between service users and NSFT staff to improve responsiveness to people in crisis and the establishment of a new telephone system that records all calls to the Access & Assessment service. All in-patient areas will have a programme of activities which will be available over seven days and include evenings. Improvements in this area are certainly welcome. However we were recently informed by NSFT that six day coverage for activities had been achieved but not seven. Also the range of activities available at evenings and weekends is not clear. Healthwatch Suffolk has also received intelligence from service users to suggest that there were insufficient staff at Woodlands to allow ward leave to take place during at least one period during the year. While the top level five priorities ‘consulted on’ seem generally appropriate it is suggested that these are more proactively managed during the coming year in conjunction with service user groups, including those externally operated by Healthwatch and Suffolk User Forum. 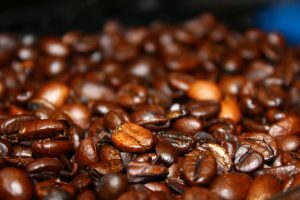 Thus service users should be involved on an ongoing basis, both to help set the detailed `Final targets to be reported` and to monitor progress towards their achievement. This should ensure that the Quality Priorities keep in better touch with wider dialogues carried on between service users and various staff members of the Trust. Healthwatch Norfolk is pleased to have the opportunity to comment on the Quality Account. The report is well laid out although it is not clear whether it will be available in other formats. We note that the report provides details on progress of the priorities identified in the Quality Account for 2012-13 and the priorities for the forthcoming year are clearly identified. We note that several areas include proposed plans for improvement e.g. patient experience, workforce needs and data quality. We are aware that the Trust has been closely observed in the past year by the public, the press, and the relevant commissioning and auditing bodies for mental health services. More or less “under the spotlight” since 2012, the Trust has been challenged with workforce anxieties as well as service provision improvement needs. The Quality Account indicates a considerable range of improvements in services and in management/workforce efficiencies during the past year. In its present configuration, the Trust dates from 2012. The consequence of public attention has been particular investment in a considerable range of clinical and quality audits, notably since 2012-13 and for 2013-14. 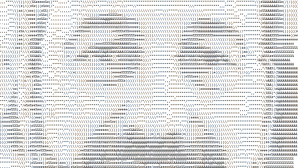 One outcome of this activity is the accumulation of precise data that is reported in this Quality Account for 2013-14. The report includes multiple and diverse ‘actions taken’ in response to specific audit subjects. We note the focus on actions to improve physical health as a support to mental health improvement; the attention to infection control; new (previous six months) development of a structure to increase service user involvement. Regarding the latter, involvement in and commitment to the Triangle of Care membership scheme (focus on support for carers) is a priority for 2014-15. Both service user surveys and staff surveys indicate areas of need for improvement but no seriously poor performances are reported. On the whole, the Trust Quality Account indicates median achievement when compared with other similar NHS Trusts. Given the challenging conditions in which the Trust has been working, results in the median range can be considered a successful outcome. The challenges for the Trust are mainly about how to continue improvement steadily and an Organisational Development Strategy (5 years 2014 to 2019) is identified as a key part of the Trust’s “vision”. Finally, Healthwatch Norfolk confirms that we will continue to develop effective working relationships with the Trust so as to ensure that the views of patients, carers and their families are taken into account by the Trust in their provision of healthcare.